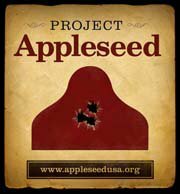 Lets start with what is Project Appleseed? 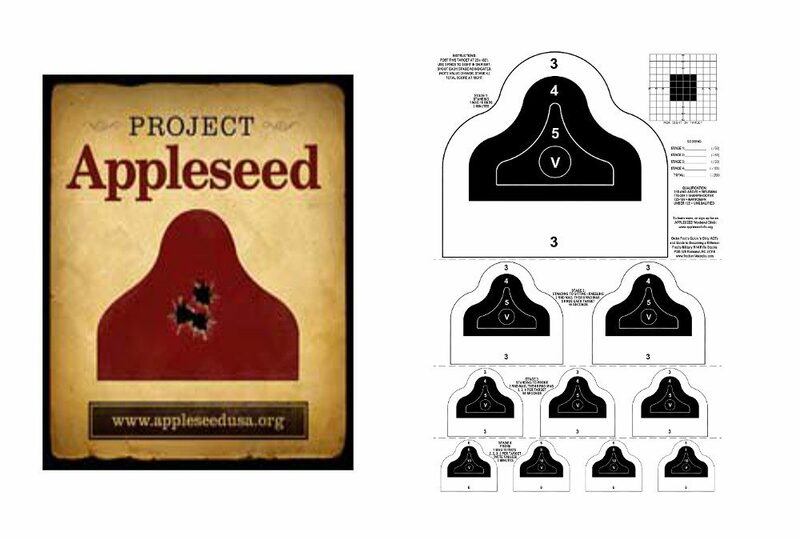 Project Appleseed is a program started by the Revolutionary War Veterans Association (RWVA) to teach people not only firearms safety and rifle shooting skills but a little history of our nation as well. Through this teaching of American history which is done by the story telling of individuals and their contributions. It also shows the sacrifices for the freedom we now enjoy; I believe they try to pass on values such as independence, self-sufficiency, and a willingness to sacrifice for one’s country and community. For those of you who are thinking that this is some kind of right wing political push to promote the use of guns and train a militia to rise against our government you couldn’t be farther from the truth. The only politics that are discussed are the ones that were in play back on April 19, 1775. If anything, it encourages you to get and stay educated on modern politics, to help keep the current politicians honest and working in favor of the American people instead of for the government. They began by letting us shoot at what they call the Redcoat targets so they could get a sense of where everyone’s shooting ability was and so they had a benchmark to show any improvement from their teachings. Then through out the day they began teaching the fundamentals of shooting such as Sight Alignment, Sight Picture, Front Sight Focus, Trigger Control, Respiratory Pause, and Follow Through. Which should all be done in that order every shot so your shots can stay repeatable. They used a crawl before you can walk approach by teaching a few principles at a time and then allowing you to practice them. What was new to me and the others that attended was shooting with a sling for support and what they call Natural point of Aim (NPOA). Basically it’s where your rifle and sight picture come to rest when you are at your respiratory pause. The trick so to speak is to shift your body so that when you reach your NPOA it is where you want the bullet to hit. NPOA also only matters when shooting with a sling or just a bi-pod. If your using both a bi-pod and sandbags then your body mechanics don’t come into play. They also teach what is known as Minute of Angle (MOA) which is needed to calculate your shots for a given distance. Now I know your probably saying “but your only shooting at 25 meters” you’re right it doesn’t come into play at that distance but it will if you ever shoot at distances beyond 100 yards. Where it also comes into play is knowing how to convert MOA into clicks for zeroing your rifles iron sights or scope. The targets we shoot at are scaled to show you what a man sized silhouette looks like at 100-400 yards. Yes, MOA and bullet drop does not come into play at this distance but the sight picture does. It still shows you how difficult a shot at that distance with iron sights or a scope can be, because if you don’t have the fundamentals down you won’t make the shot even at 25 meters. I’d say 5 stars all around. The instructors were great. They were polite, extremely friendly, very knowledgeable, and kept everyone safe. You cannot find any better instruction for basic skills anywhere else especially for the price you pay for the Appleseed. What they charge goes into the program such as targets, advertising and such, not one penny goes to the instructors they all volunteer their time and for that I salute them and say Thank You. Overall attending an Appleseed is a great way to spend quality time with your family (I went with my oldest son), learn basic firearms safety and shooting fundamentals, and get inspired to get more informed and involved in politics so that your Liberties and Freedoms which are God given aren’t taken away by man. *pictures taken from google search.